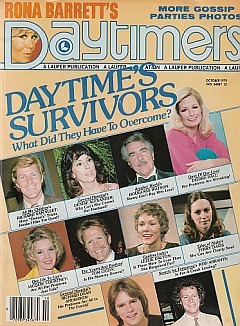 Cover Story: Daytime Survivors - What Do They Have To Overcome? General Hospital's Scott & Laura Are Man And Wife! Second Take - A Glimpse At The Interesting Things Daytimers Say! Minor storage wear to the outside of the rear cover.